In the first year of James’s reign, 1603, two separate conspiracies were uncovered. Whilst there were some common participants in the two plots, their only real connection was that they occurred simultaneously, and had similar motives and objectives. Each was a product of the failed expectation that James would ease the suppression of Roman Catholicism, and the persecution of Catholics, which had occurred under Elizabeth. The principal parties to each conspiracy were largely unaware of the other. Indeed, each sought a similar outcome by very different, and mutually inconsistent, means. The Bye Plot, or “Treason of the Priests”, was a rather harebrained scheme hatched by two Catholic priests, Watson and Clarke. They employed two “impecunious swordsmen”, Sir Griffin Markham and Anthony Copely, to seize the King, imprison the members of the Privy Council in the Tower, and pressure the King into appointing Catholics to positions of prominence and power. Needless to say, there was never the slightest suggestion that Raleigh had any part in this ridiculously ill-conceived venture. 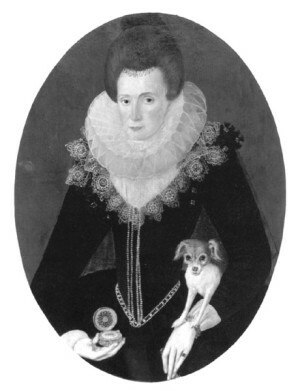 The object of the Main Plot was, seemingly, to depose the King and replace him with a rival claimant, Lady Arabella Stuart. The central figures were George Brooke, brother of Lord Cobham, and Lord Grey of Wilton. Neither was pro-Catholic; indeed, Grey was a Puritan. Both had personal reasons for disliking James – in Grey’s case, because James had pardoned the Earl of Southampton, one of the co-conspirators in Essex’s rebellion, and also a personal enemy of Grey’s. They proposed to raise a regiment and lead a coup d’état. Again, there was never the slightest suggestion of any direct involvement by Raleigh in these plans, or even that Raleigh knew of them. But, through his friendship with Cobham, Raleigh had the misfortune to get caught up in some shady dealings at the periphery of the Main Plot. 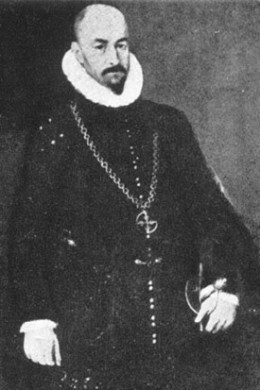 It seems that Cobham was involved in negotiations with the Count of Aremberg – envoy from Archduke Albert of Austria – to obtain a significant sum of money, five or six hundred thousand crowns, from Spain. On one version, Cobham was to travel to Brussels, and thence to Spain, returning to England by the Isle of Jersey, where Raleigh was Governor. Then, so it was charged, Raleigh and Cobham would decide how best to use the funds in support of the Main Plot, either by bribing key officials in the government, or by paying troops. This entire story, or at least Raleigh’s supposed role in it, was utterly fantastic. No man in England had made a larger contribution to England’s war with Spain, and it is equally unthinkable that Raleigh would have participated in a conspiracy with the Spanish, or that the Spanish would have trusted Raleigh with such a large sum of money. Indeed, it is exceedingly improbable that Spain could have, or would have agreed to, supply such a large fund – the Spanish economy had been broken by the cost of raising Armadas to fight the English, and Spain was heavily indebted to money-lenders in the Low Countries, at exorbitant rates of interest. Nor, in any event, did Spain have much to gain even if the Main Plot were to succeed. There had been war between England and Spain throughout Elizabeth’s reign, and Spain had suffered both financially and in terms of prestige through the defeat of its Armadas, and through the capture of Spanish treasure galleons by English privateers. One of James’s first acts as King was to ban the taking of Spanish ships as “prize”, and he quickly opened dialogue with the Spanish to negotiate a lasting peace. There were even plans for a marriage between the King’s son and the Infanta of Spain, thereby reuniting two rival lines of claim to the English throne. James may not have been Spain’s first choice as monarch of England, but he was a safer bet than Lady Arabella Stuart. It is more than possible that negotiations did take place between Cobham and Aremberg, and that Aremberg may have induced Cobham (who does not emerge from contemporary accounts as being especially bright) to believe that he was in a position to obtain funds from Spain. But it is impossible to imagine that a man of Raleigh’s worldly experience would have fallen into such an obvious trap, just as it is impossible to believe that any such funds were in fact available from Spain. It has been suggested that Raleigh might have gone along with Cobham’s proposal, intending to seize Cobham (and the money) when he arrived in Jersey, in the hope of increasing his standing with James, and perhaps being rewarded with a share of the proceeds. But, again, it is highly unlikely that such an experienced courtier as Raleigh would have assumed the role of agent provocateur, without taking careful steps to ensure proof of his own innocence. Significantly, modern historical research – including a close examination of historical records in Madrid – has not uncovered a shred of evidence to support the allegations against Raleigh. Yet, even during Raleigh’s lifetime, the case against him was thoroughly exposed as the invention which it plainly was. Following his conviction, and after 13 years in the Tower, Raleigh was released to conduct an expedition to Guiana, in the course of which a Spanish settlement – San Thomé on the banks of the Orinoco River, in modern-day Venezuela – was attacked. Though Raleigh claimed self-defence against an unprovoked Spanish attack, the Spanish bayed for Raleigh’s blood: especially the formidable Spanish Ambassador, the Conde de Gondomar. In a written Apologia sent by Raleigh to King James, Raleigh made the telling point that, if the Spanish Ambassador sought to prove Raleigh’s perfidy, nothing could be easier for the Spanish than to produce evidence of Raleigh’s alleged conspiracy with them, 15 years earlier. Needless to say, no such evidence was forthcoming. The truth is that Raleigh did, indeed, have discussions with Lord Cobham with respect to Spanish money – as Raleigh readily admitted at his trial. But the discussions were very different from those alleged against him. Prior to Aremberg’s arrival in England, Cobham proposed to Raleigh that Aremberg be approached to negotiate a “pension” for each of Cobham and Raleigh, similar to that which Cecil was already receiving. Raleigh’s worst crime was that he gave an ear to Cobham’s proposal, and did nothing about it. Given that Cecil was already in receipt of a similar pension, it could hardly be charged against Raleigh that it was treasonable even to discuss the idea. Raleigh, who seems to have regarded Cobham as a good-natured idiot, no doubt dismissed the entire conversation as idle chit-chat which would come to nothing. But it came to something when Markham and Grey were arrested, leading to the arrest of Brooke. Brooke seemed to imagine that he could save his own skin by implicating his brother, Cobham – and Cobham, in turn, thought to save himself by naming Raleigh.